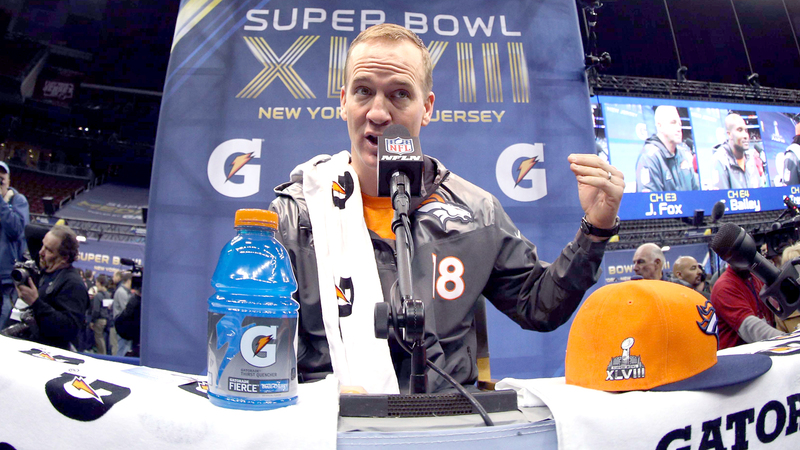 If you’ve followed the NFL playoffs at all this year you probably know all about Peyton Manning yelling "Omaha!" You also probably know that a number of companies, led by the Omaha Chamber Of Commerce, joined forces to donate $800 every time he yelled "Omaha!" during the AFC championship game. Well, those companies, along with a few others, have stepped up their donation game for Super Bowl XLVIII. They will now donate $1,500 every time the Broncos QB yells "Omaha!" against the Seattle Seahawks on Sunday’s FOX broadcast. Omaha’s philanthropic "shout-out" to Denver Broncos quarterback Peyton Manning is growing in volume ahead of a Super Bowl Sunday encore. The huddle of participating companies now stands at 15, almost double the size of the first "Omaha Peysback" on Jan 19. All of the money raised will be donated to Manning’s "Peyback Foundation" which supports disadvantaged children. Manning raised $24,800 by yelling "Omaha!" 31 times in the AFC title game.